"Between the Lines" - Daniel Moore's tribute to Lee Roy Jordan. 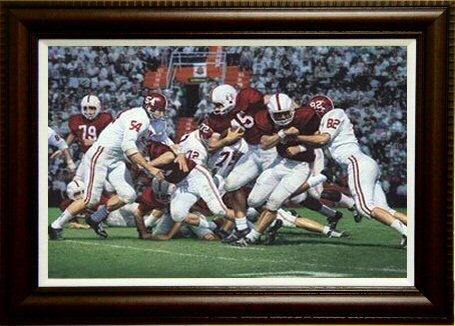 Second in a series of Legendary Players, "Between the Lines" features Lee Roy Jordan in his record setting performance in the 1963 Orange Bowl where he stopped the Oklahoma Sooner offence dead in their tracks. Coach Bryant once said of this great linebacker, "If they stay between the lines, Lee Roy will get 'em!"